WASHINGTON (Reuters) - Federal Communications Commission Chairman Ajit Pai said on Monday he had "serious concerns" about Sinclair Broadcast Group Inc’s (SBGI.O) proposed $3.9 billion acquisition of Tribune Media Co (TRCO.N), a surprise move which could potentially scuttle the deal and sent shares of both companies tumbling. Pai, a Republican, said evidence presented as part of the approval process suggested that the planned divestiture of certain television stations "would allow Sinclair to control those stations in practice, even if not in name, in violation of the law." Sinclair, the top U.S. television broadcast group, said in a statement late Monday it was "shocked and disappointed" by the announcement and denied it was not in compliance with FCC rules. The company said it was "prepared to resolve any perceived issues" and looked "forward to finalizing our acquisition of Tribune Media." Tribune declined to comment. Pai and Sinclair have previously denied the Democrats' accusations. Democrats have also said the FCC's inspector general is probing the allegations. Pai's statement raising questions about whether Sinclair would continue to control some of the stations it proposes to divest followed similar questions raised in separate filings with the FCC last month by the American Civil Liberties Union and conservative news outlet Newsmax Media. Sinclair, based in Hunt Valley, Maryland, has said that if the deal was approved, it would reach nearly 59 percent of the nation’s television households. Sinclair said Monday the deal "will create numerous public interest benefits and help move the broadcast industry forward at a time when it is facing unprecedented challenges." 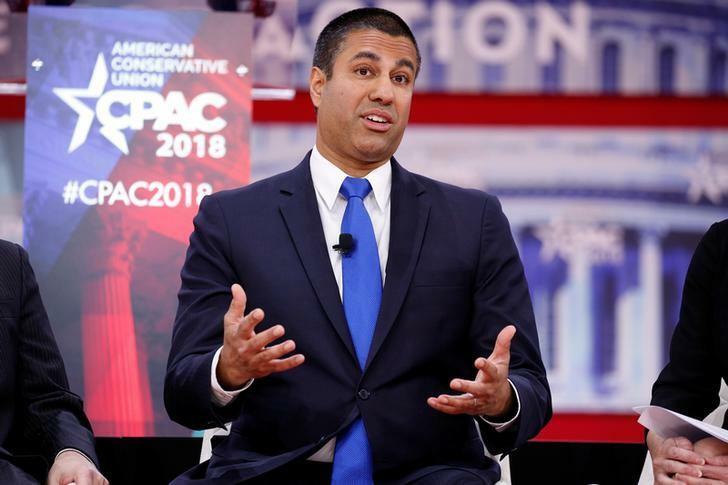 A majority of the FCC voted Monday to approve the draft order circulated by Pai's office to refer the transaction for a hearing, a person briefed on the matter said. "It's widely recognized that when something is set for a hearing that the deal is not going to survive," said Gigi Sohn, a top aide to former FCC Chairman Tom Wheeler. FCC Commissioner Jessica Rosenworcel, a Democrat, said that after a string of policies "custom built" to support Sinclair, “the agency will finally take a hard look at its proposed merger with Tribune.” The draft order circulated by Pai's office, part of which was seen by Reuters, said the deal raised an issue that "includes a potential element of misrepresentation or lack of candor" that must be resolved before the FCC gives it a go-ahead. That could amount to "misconduct," the order said. The Justice Department's separate review of the merger is still ongoing, the department said Monday. Sinclair responded that it denies "such allegations in the strongest possible manner" and said it has been "completely transparent about every aspect of the proposed transaction." The order "could also (put) pressure on them to divest more stations cleanly in the open market," said Gene Kimmelman, president of the advocacy group Public Knowledge. Advocacy group Free Press said Sinclair forces stations to "air pro-Trump propaganda" - a charge it denies.